It’s time to celebrate Mom. Sunday, May 13 is Mother’s Day and Napa Valley offers a variety of events to help show your appreciation to mom. From spa packages, to wine tours, to the best balloon rides in Napa Valley, Mother’s Day weekend is sure to be a special time. May 12 – Mom’s Who Make Wine is a special tasting event celebrating women winemakers who manage to balance the art of winemaking and being a mother. Taking place at CIA at Copia, this is an all-inclusive walk-around wine tasting event. May 12 – Stewart Cellars ‘Farmer’s Market’ Spring Soiree features newly released Stewart Cellars Rosé, live music, pastries by Monday Bakery, so many flowers, local produce, ice cream, and more. Celebrate Spring with mom at this annual event. You’ll have plenty of time to enjoy these events after your sunrise hot air balloon ride in Napa. Treat mom to an unforgettable adventure with the best balloon rides in Napa Valley! Relax, Unwind, and Treat Yourself! Napa Valley and the surrounding towns are known for their world-class spas and resorts. Why not take mom to the healing waters of Calistoga’s geothermal hot springs? For the ultimate luxury experience, make reservations at the Spa Solage at Solage Calistoga. This resort offers the famous Calistoga mud and mineral water therapies, massages, facials, and more! What better way to bring the mood to calming level after your thrilling balloon ride on some of the best balloon rides in Napa Valley. Mother’s Day weekend in Napa would not be complete without a proper wine tour. There are many ways to experience this including wine tours, trolleys, trains, or a tour after your ride on the best balloon rides in Napa Valley. Let mom experience the art of wine through a proper tour. The Napa Valley Wine Train is a Mother’s Day favorite. Passengers choose a lunch or dinner package and experience gourmet meals in vintage rail cars, stopping at some of Napa’s most famous and larger wineries. Not a fan of trains? 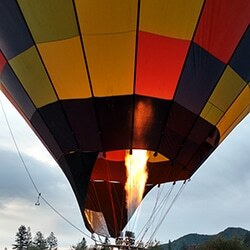 Enjoy the ultimate winery experience with one of the best balloon rides in Napa Valley. Balloons Above the Valley offers an incredible hot air balloon ride followed by a wine tour taking you to a number of Napa’s best wineries. This balloon flight + wine tour package includes a Champagne Brunch too! Why not allow us to take care of all the planning? Sit back and relax while we whisk you and mom away on a journey through Napa. It’s no secret that the best view of Napa is from a Napa hot air balloon. This Mother’s Day, treat mom to an unforgettable experience by booking a spot on one of the best balloon rides in Napa Valley. Choose between the balloon flight option, the flight + Champagne Brunch option with Michelin-awarded food, or the flight + wine tour option for the complete Napa Valley experience. 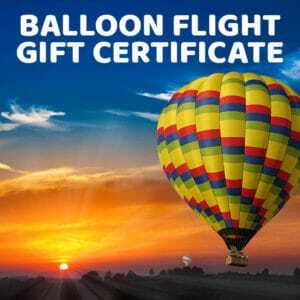 These flight packages allow you to customize your trip on the best balloon rides in Napa Valley with the most important woman in your life. Contact Balloons Above the Valley today and see how we can help you treat your mom to the best balloon rides in Napa Valley!